Atlantic Gastroenterology is a state-of-the-art clinic located in the New York area. The practice specializes in all aspects of gastroenterology, hepato-billiary diseases, and hepatology. In July of 2007, we opened our doors for the first time and began serving patients in Brooklyn and the greater New York area. Since then, we have maintained the highest standards in patient care and advanced medicine. “I willingly take on the role of keeping our practice at the forefront of this area of medicine, striving for excellence in gastrointestinal procedures and in-patient care,” says Board-certified gastroenterologist, Dr. Alexander Shapsis. 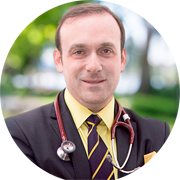 Dr. Shapsis, president of the clinic, is known nationally as a published author for numerous research articles on various topics related to gastroenterology and gastrointestinal motility disorders. He is certified by the American Board of Internal Medicine and Gastroenterology. Dr. Shapsis is also active in the American Society of Gastrointestinal Endoscopy and the American College of Gastroenterology. As a doctor, he is driven by a rare commitment to patient care and the treatment of colon cancer. We are living in a unique era of national health care reform. As a result, the Atlantic Gastroenterology team is continually looking for ways to improve in order to better serve the needs of our patients and the broader community. Our practice is equipped with the latest innovative diagnostic and treatment technologies, and we have a terrific team of top New York specialists who are dedicated to providing excellence in patient care. Thank you very much for your trust and loyalty. We remain deeply committed to delivering the best available healthcare services to our friends and neighbors in the communities of Cobble Hill and Ocean Parkway and the larger Brooklyn, NY area.